There are about a million ways right now to get your belly filled while you Get Your Ears On in Disneyland Resort! Additional offerings are taking over the entire Resort as part of the biggest celebration of Mickey and Minnie in Disneyland history. 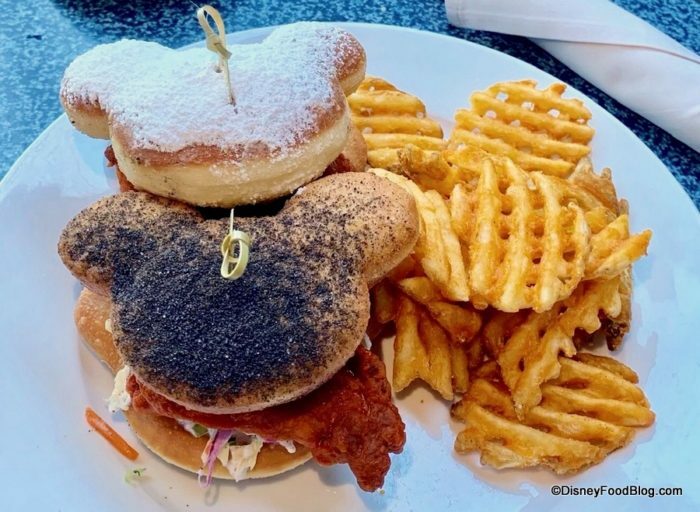 And while we’re having a blast checking out churros and cheese and cookies and more at counter service locations, snack carts, and kiosks around the Resort, several Table Service restaurants are getting in on the Get Your Ears On fun with specialty menu items for the event. 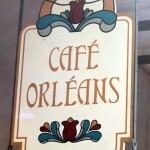 And that includes Café Orleans in Disneyland’s New Orleans Square! There are three additional items on the menu for the celebration: a Charcuterie Board and two items created with a Café Orleans signature item: Beignets! We couldn’t resist checking out the Fried Chicken and Beignets and the Birthday Cake Mickey Beignets. 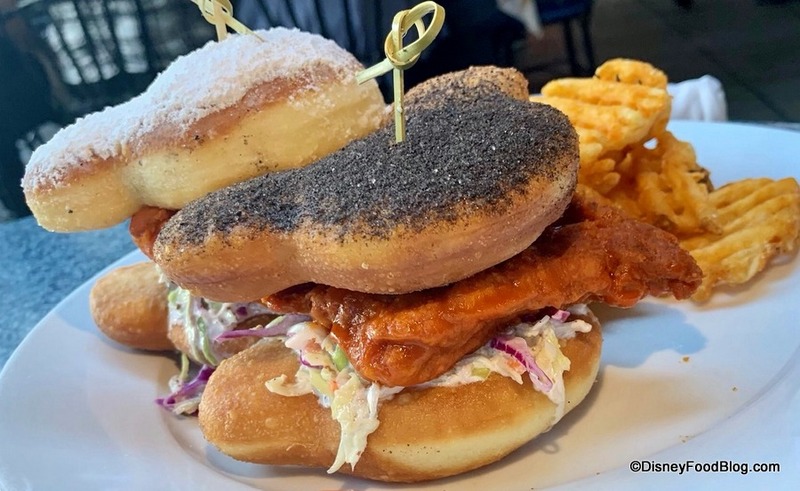 The new Fried Chicken and Beignets is a one-of-a-kind dish. Two sweet and spicy boneless buffalo-tossed fried chicken pieces sit on herb bacon coleslaw sandwiched in between two Mickey Beignets! BEIGNET SANDWICHES!! 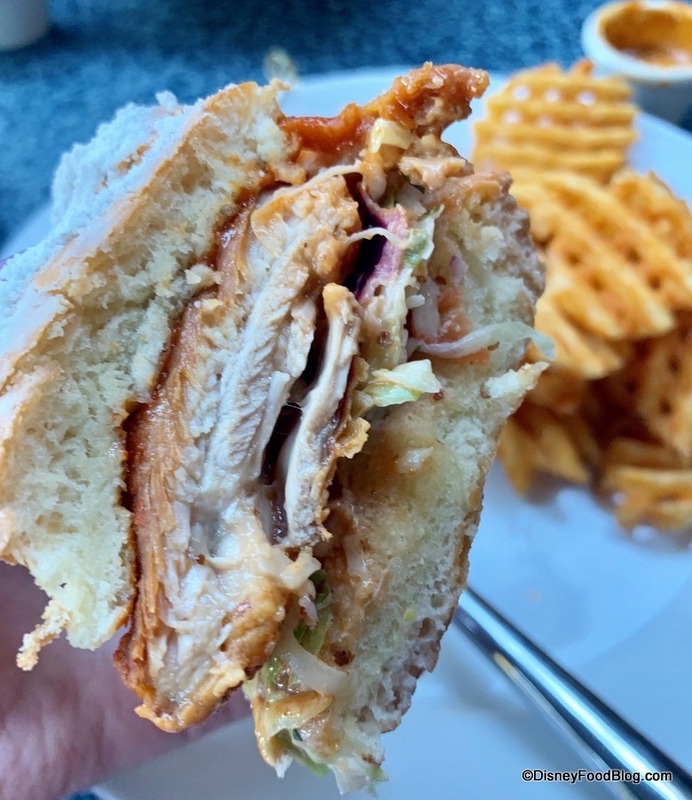 Not only does that terrific sweet-meets-savory mix apply here, but you’ve also got spicy heat from the buffalo sauce, too! It’s unexpected, for sure, but the abundance of flavor is memorable and actually comes together surprisingly well. 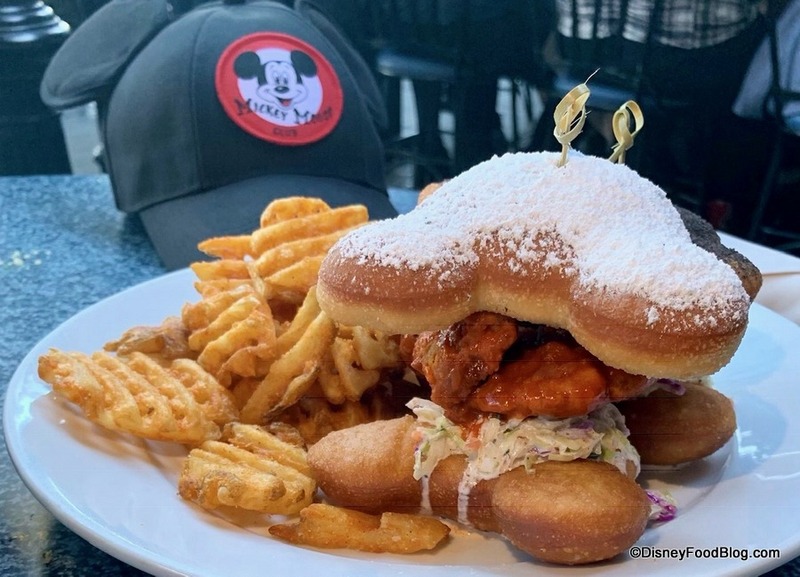 (Better, in fact, than the Beignet Burger over in Disney World.) These are served with a side of Waffles Fries. We were a bit surprised that Café Orleans introduced a new french fry into the mix, as they have already perfected the dish in their Pommes Frites. These seasoned waffle fries do not usurp the Pommes Frites, but are yummy nonetheless. 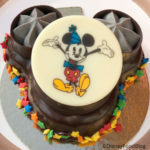 To finish off your meal, the Birthday Cake Mickey Beignets are the new dessert option for the celebration. 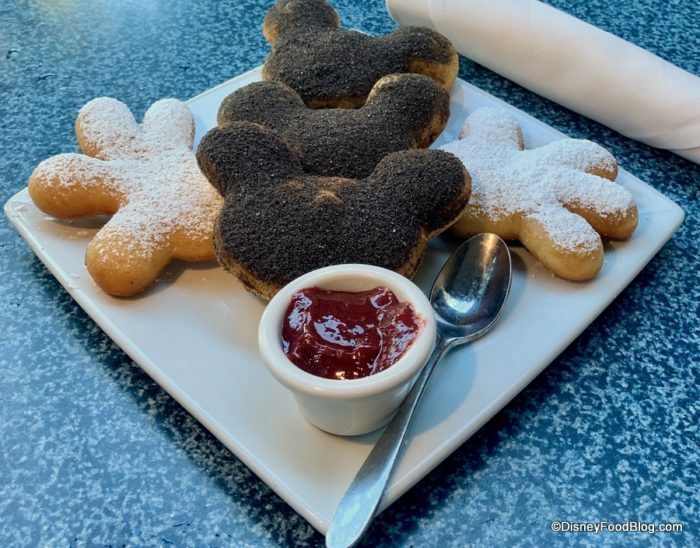 Here you get Three Chocolate-Coffee Mickey shaped beignets covered in sugar-coffee goodness, plus two adorable Mickey glove classic powdered sugar beignets with a side of raspberry jam. 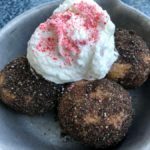 The coffee overpowers any hint of chocolate in these babies, so you’ll want to be prepared for the strength and stick with the classic Beignets if you’re not into strong coffee flavors. But if you enjoy the taste, these are a great and fun change of pace for the occasion! 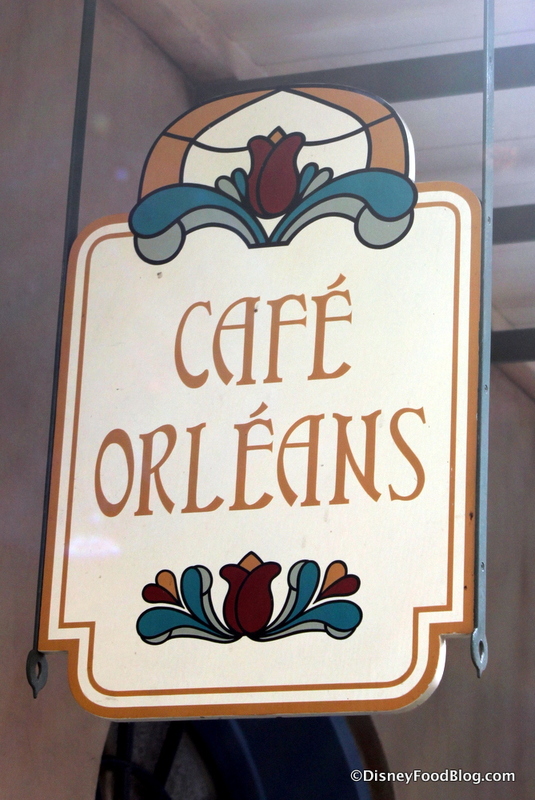 Are you going to try the specialty Get Your Ears On offerings at Café Orleans? Please let us know with a comment! 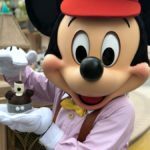 « Review: NEW Minnie Mouse Sundae at Golden Horseshoe in Disneyland! So what wasn’t answered in this review was the flavors of the bennies that come with the platter so maybe you can help? Venessa, yes, the beignets with dark dust on them are chocolate-coffee beignets. Those are the flattest beignets I have ever seen. Too bread-y. 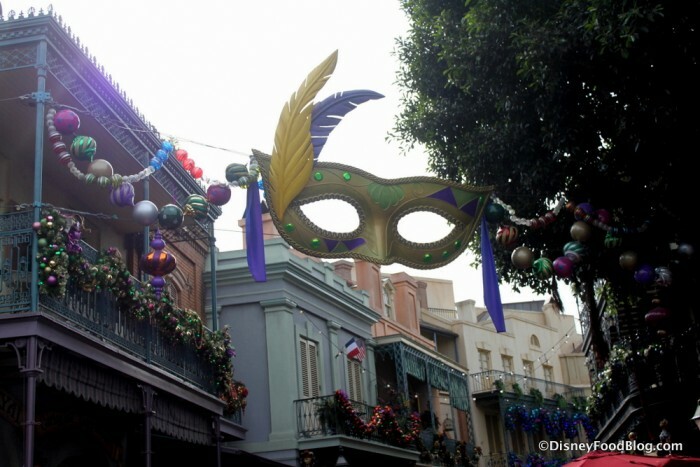 Can the Birthday Cake Mickey Beignets be ordered Gluten Free? 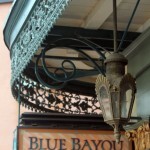 Bridget, Cafe Orleans does offer GF Mickey Beignets, but we don’t know about the dusting on the Birthday Cake option. You’d need to inquire about the coating of coffee/chocolate dust.